Harmonic detection is one of the most important control strategies in active power filter (APF). When the grid voltage is under distorted or unbalanced circumstance, the harmonic detection of APF causes error using the conventional harmonic detection methods, and the compensation effect is unsatisfactory. The compensating current equation of the perfect harmonic cancellation (PHC) is derived based on Instantaneous Reactive Power Theory in the paper. The PHC method uses positive sequence components of the grid voltage without the effect of distortion and unbalance while detecting harmonic. It makes for error reduction. Finally, the PHC method is simulated in the paper when the grid voltage is under normal circumstance or distorted and unbalanced circumstance. 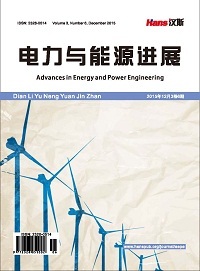 The simulation results verify that the APF using the PHC method has more satisfied compensation effect when the grid voltage is under distorted and unbalanced circumstance, and it proves that the PHC method is correct and superior. 姚杰. 并联型有源电力滤波器的控制算法研究[D]: [硕士学位论文]. 武汉: 华中科技大学, 2009. Grady, W.M., Samotyi, M.J. and Noyola, A.H. (1990) Survey of Active Power Line Conditioning Methodologies. IEEE Transactions on PD, 5, 1536-1542. 丁道宏. 电力电子技术[M]. 修订版. 北京: 航空工业出版社, 1999. 陈东华. 有源滤波应用于飞机交流电源系统的关键技术研究[D]: [博士学位论文]. 南京: 南京航空航天大学, 2007. 石磊. 新型航空并联有源电力滤波器的研究[D]: [硕士学位论文]. 南京: 南京航空航天大学, 2011. 李建林, 张仲超. 有源电力滤波器控制策略综述[J]. 电力建设, 2003, 24(6): 44-46. 王兆安, 杨君, 等. 谐波抑制和无功功率补偿[M]. 北京: 机械工业出版社, 2005: 220-241. Akagi, H., Fujita, H. and Wada, K. (1999) A Shunt Active Filter Based on Voltage Detection for Harmonic Termination of a Radial Power Distribution Line. IEEE Transactions on IA, 35, 638-645. 魏志强. 电力有源滤波器谐波检测方法研究[D]: [硕士学位论文]. 天津: 天津大学, 2007. Akagi, H., Kanazava, Y. and Nabae, A. (1984) Instantaneous Reactive Power Compensators Comprising Switching Devices without Energy Storage Component. IEEE Transactions and APPI, 20, 625-630. Montero, M., Cadaval, E. and Gonzalez, F. (2007) Comparison of Control Strategies for Shunt Active Power Filters in Three-Phase Four-Wire System. 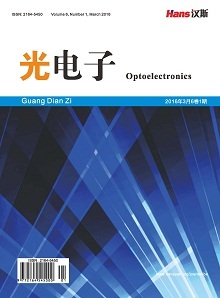 IEEE Transactions on Power Electronics, 22, 229-236. Rafiei, M.R., Toliyat, H.A., Ghazi, R. and Gopalarathanam, T. (2001) An Optimal and Flexible Control Strategy for Active Filtering and Power Factor Correction under Nonsinusoidal Line Voltages. 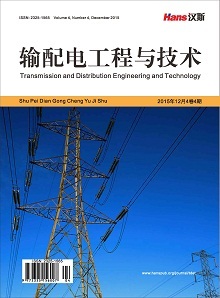 IEEE Transactions on Power Delivery, 16, 297-305. 卢盈. 应用于飞机交流电源的有源电力滤波器研究[D]: [硕士学位论文]. 南京: 南京航空航天大学, 2009.